The Everyday Range is hand thrown in Emma’s studio using a fine stoneware clay and is finished with beautiful, tactile satin matt glazes. Each piece is dented while the clay is still soft giving a sensual aesthetic and a form that is comforting to hold. 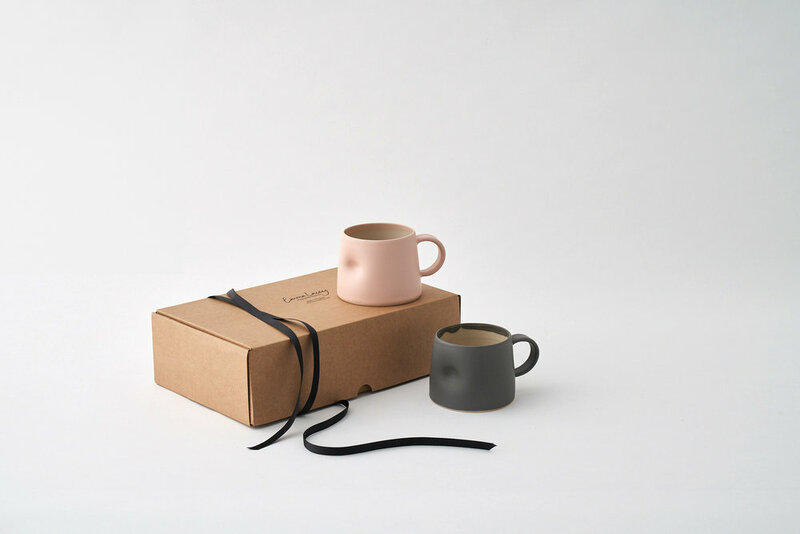 A little smaller than our Large Everyday mug, the Short Cup is approximately 7.5cm tall, 9cm diameter with a 350ml capacity. The Everyday Milk Jug is approximately 9.5 cm tall by 8.5cm diameter with 350ml capacity. As they are made by hand and due to the organic nature of materials, shape and colour might vary slightly. Don’t forget to pick your colour choice above. We are very sorry that we dont have what you were looking for. If you would like us to let you know when we have more ready just fill the form below and we will keep you posted! As soon as we get some ready you will be the first to know!